ATTENTION ALL TZEVET and MIT’s: Thank you once again for a wonderful summer. The summer’s success was due to all of your hard work and dedication to the Machane. For those of you still in the Chicago area please join us for one last get together before everyone returns to school at a tzevet appreciation BBQ tomorrow evening at 7:15 pm at Josh and Deva’s house 4044 Greenwood, Skokie. We look forward to seeing you all there.  Shabbat Shalom from Camp Moshava! While many of our chanichim have already returned home this past week, as our six session concluded our Machal and Avodah chanichim returned back to the Machane today from their trip to the Upper Peninsula of Michigan. This Shabbat they will be joined by Rabbi Reuven Brand, Rosh Kollel of YU Kollel Torah Mitzion of Chicago and his family for one last inspiring Shabbat in the Machaneh. We have had a wonderful summer with all of your children and we thank you for entrusting us with them. We would also like to take this opportunity to thank our wonderful tzevet for all of their hard work and dedication this summer. A special thank you to our Rosh Mosh, Yitzi Matanky who has served as the Rosh Moshava for the past five summers. We wish him Hatzlacha as he begins his new position as Executive Director of YU Kollel Torah Mitzion of Chicago. Please read along about what has been happening in the Machaneh this week. Remember to check our website (www.moshavawildrose.org) and Facebook page for daily pictures and updates. After a meaningful final Shabbat, the chanichim enjoyed their final night swim. The next day, the entire Machaneh headed to the Wisconsin Dells for a day at the Kalahari indoor amusement park. After mini golfing, laser tagging, go carting, ropes coursing, and Ferris wheeling we returned to camp for a night game of mystery envelope. Monday, packing day, also featured the last segment of the tochnit. Each kvutzah was assigned a different stage of the Six Day War and instructed to film a short video reenacting the events. The videos were then combined with clips from the history channel. After the annual last night talent show the chanichim watched the Six Day War video and a montage of the entire summer. Tuesday morning, as the rest of Machaneh was sleeping, the members of Machal and Avodah embarked on their end of summer trip to the Upper Peninsula of Michigan. After an early davening we boarded a coach bus headed for the Wisconsin-Michigan border for what would be an unforgettable four day, three night journey. At 9:30 am, after a three hour bus ride we reached Niagra, WI for whitewater rafting down the Menominee River. Led by trained guides, rafts full of chanichim rushed over 12 and 8 foot rapids, for a truly exhilarating two hour ride. Raft-mates worked as a team, paddling, leaning and “locking down” to insure a safe and successful mission. There was unanimous agreement amongst the group that the rafting trip was the best and most unique trip of the summer. From rafting we headed across the border to Munising, Michigan for the night where we barbecued and camped out for the night. On Wednesday we went on a seven mile hike in Munising to the awe inspiring Chapel Falls waterfall and Chapel Rock on the banks of Lake Superior. That night we took a sunset cruise along the Pictured Rocks National Lakeshore as we received a guided tour of the beautiful shoreline. On Thursday morning we packed up and headed to historic Mackinac Island. We boarded a ferry to the island and enjoyed a few sunny hours riding bikes, visiting shops, eating lunch and site seeing. After a ferry ride back to the mainland the chanichim went to their campground, which was situated on the shores of Lake Huron. After a feast of hot dogs, hamburgers and chicken a bonfire on the beach was enjoyed by all. At the bonfire we sang slow shira songs, told stories and admired the beautiful starlit sky. We are headed back to Machaneh for what will surely be a meaningful Shabbat and a much needed day of rest. We will have the pleasure of hosting Rabbi Reuven Brand, Rosh Kollel YU Torah MiTzion Kollel of Chicago, and his family for Shabbat. Rabbi Brand will be leading a tisch, giving shiur, speaking at seudah shlishit and leading us in a meaningful Kumzitz. The fun won’t stop until the buses roll out of camp on Tuesday. On Sunday we will head to Fond du Lac for go karting, mini golf and off road go karts at Fondy Sports Park and in the evening we will see a water ski show in nearby Freemont. On Monday we will be picnicking in Hartmans Creek State Park and getting ice cream at the famous Scoopers. The memories from Michigan will last a lifetime while Shabbat and the next few days will put the finishing touches on another memorable summer at Machaneh Moshava. We would like to thank Yael and David Shiner for sponsoring the tisch this week in honor of Jacob Shiner’s Bar Mitzvah parsha. Help Us Celebrate 75 Years! Sponsorship of a month/decade which will include your company’s logo – $360. Tisch: In appreciation for a great summer for David and Evan by Karen and Jordan Neuman (IL). Milk & Cookies: In honor of Josh “Big Tuna” Zwelling by the Jaffe family for making things work out at the lake for Noah to be able to fish (IL). Seudat Shlishit: In honor of Rena and Adam Silverstein’s first anniversary by Miriam and Louis Kolom (IL). Havdalah: In Memory of Rabbi Dr David S. Blumofe on his second Yahrtzeit, grandfather of Abby and Joey Blumofe, founder of the RZA in Chicago, by the Blumofe families (CA).